One of the best things about festivals – aside from the music, sunshine, and celeb-spotting, obvi – is getting creative with your hair and outfit. 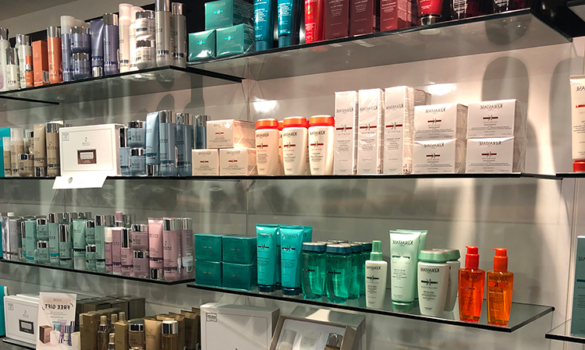 We all know that anything goes at a festival, and after a few days without shampoo you might have to get a bit imaginative to keep your hair looking good. We’ve put together some of the must-have festival hairstyles for this year – and the good news is that they’re all so easy to do. 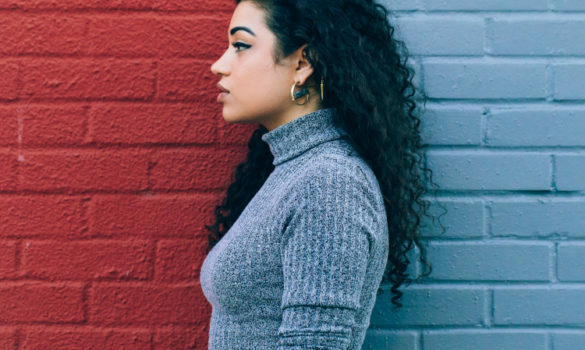 So not only are these styles bang on trend; they’re also perfect for unwashed that needs a fuss-free, low-maintenance style. From the runways to Instagram, braids are huge this season. 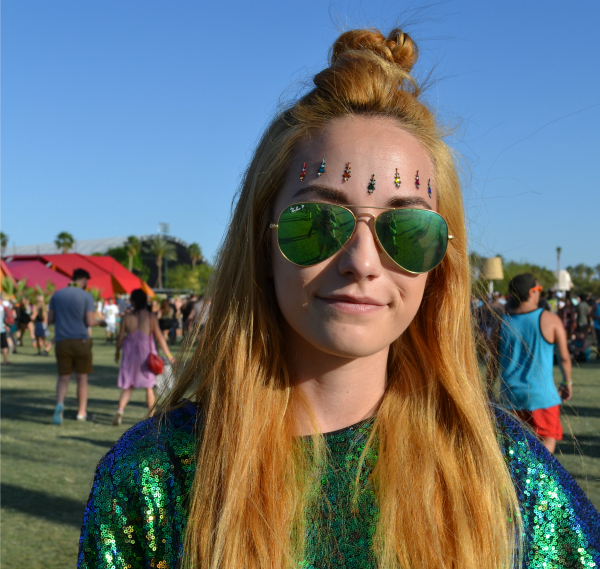 And, because they work best on hair that was washed a day or two before, they’re also the perfect style choice for the second or third day at a festival. French, boxer and Dutch braids are all key looks summer, but a fishtail plait or single braids throughout messy hair will also look effortlessly stylish. 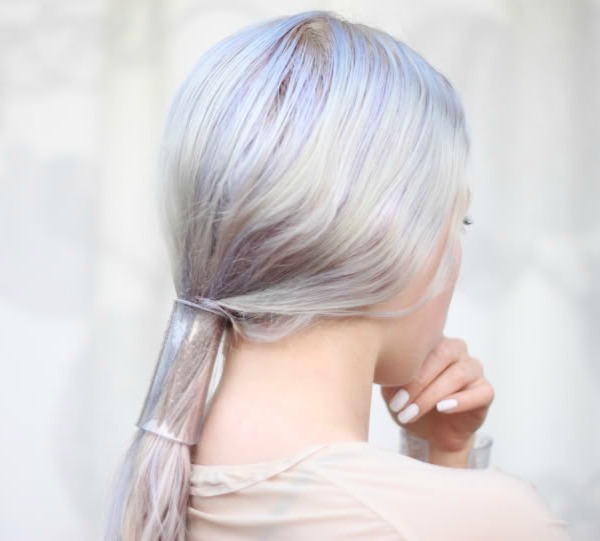 The trend for pastel hair is still going strong, and nowhere is it more at home than at a festival. Hair can either be coloured professionally in a salon, or you can get a temporary look by experimenting at home. Hair chalks or semi-permanent dyes such as those in the Fudge Paintbox collection will give you the same look, but without the commitment. We love the Fudge Paintbox in Pink Moon for a pastel hue that can be used all over, or on individual sections for a fun, carefree look. After a couple of days without showering (and probably with rain and sweat thrown into the mix), your hair might be looking a little limp. 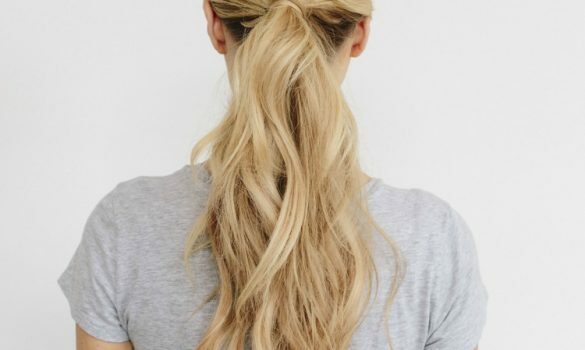 A cute half-up half-down style in the form of a mini bun is the perfect way to cover up oily roots and inject a bit of life back into your locks. It’s also super easy to do: use a mattefying powder such as DESIGNLINE Powder Boost Volumiser to absorb some of the oil and give the hair more texture, secure with a couple of grips and you’re done! 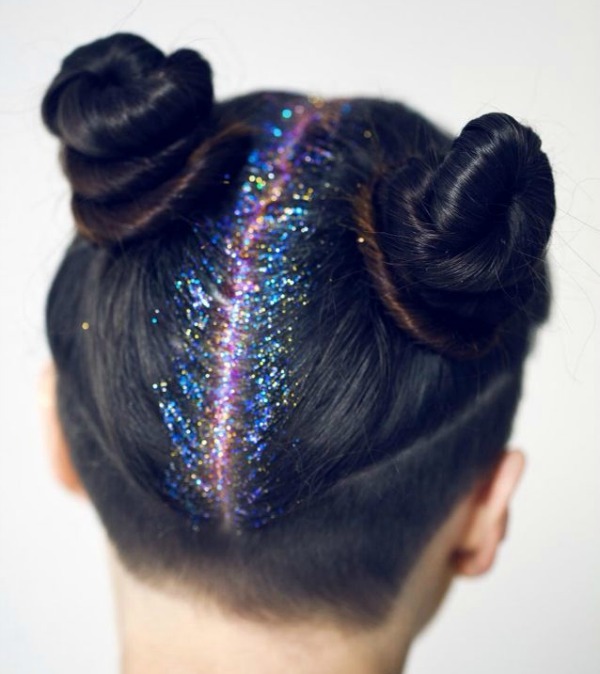 This trend first gained popularity last year as Christmas party season kicked off, but a sprinkle of glitter down your parting is also perfect for festival season. Not only will it look gorgeous while you party into the evening – it’ll also mask those greasy roots! Grab a can of Fudge’s Glitter Blast Spray, available in the Fudge Volume Shine Sparkle Haircare Pack, and spray liberally down your parting. As numerous Instagram quotes tell us: mermaid hair, don’t care. And you really won’t have to care about hair problems with this look, as it’s possibly the easiest to create out of the bunch. Simply put your hair in plaits overnight, and in the morning you’ll have loose, boho waves. A spritz of salt spray, such as EIMI’s Texture Ocean Spritz is all you need to keep your waves textured but moisturised well into the night. 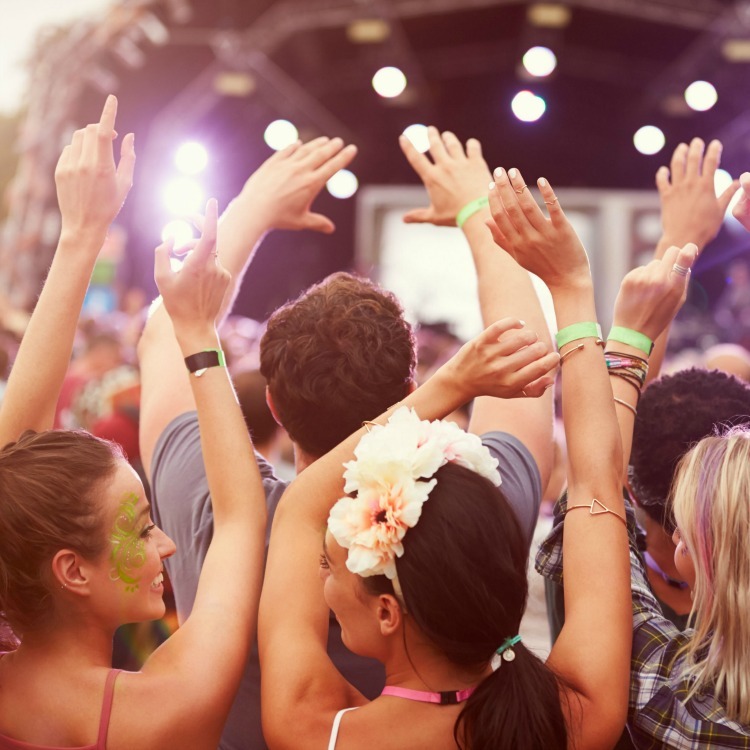 WIN a festival hair survivial kit with Supercuts and Tangle Teezer! 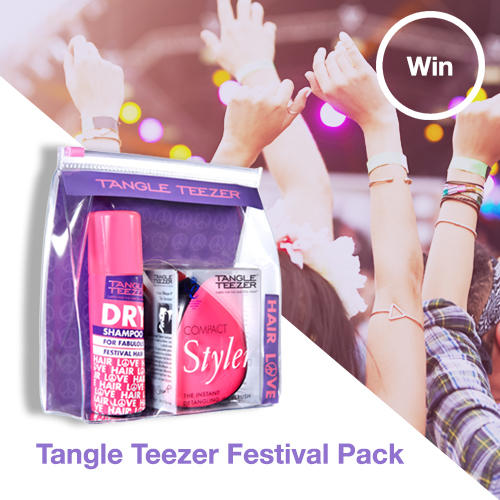 To celebrate festival season, we’ve teamed up with Tangle Teezer to give away four limited edition hair survival kits. Featuring the iconic Tangle Teezer Compact Styler and a dry shampoo, this is a must for your festival bag. Head over to our Facebook page to enter.